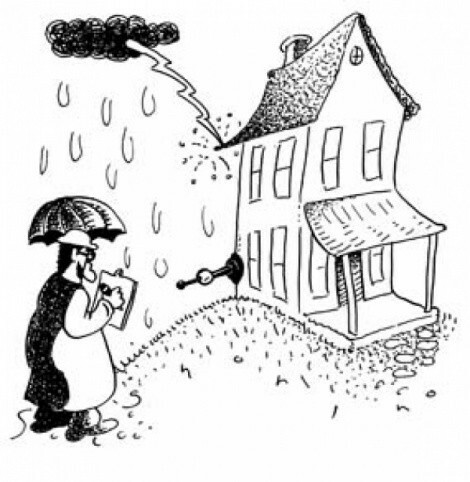 I just read your column “Do lightning rods really work?” [August 24, 2001], in which you note that the fire-prevention folks were about to decide whether there was any scientific basis to lightning rods. Do you have more up-to-date information? We live in a condo complex near the New Hampshire coast, and we need to know. I won’t keep you in suspense. To the relief of just about everyone except those hawking competing products, the National Fire Protection Association has affirmed that lightning rods work, an issue that was briefly in doubt. Surprise factor in this decision: zero, since saying otherwise would effectively have meant that 250 years of lightning-rod investment were out the window and we might as well go back to sacrificing virgins to the storm gods. Still, if you read the NFPA decision and supporting documents closely, you can’t help thinking: These guys are whistling in the dark. The whole thing started when a proposed standard for a new lightning protection technology called early streamer emission (ESE) was rejected. There’s no proof it works, the experts said. But you know what? We’re not so sure there’s proof conventional lightning rods (known to the trade as Franklin rods) work either. At the time of my original column, the NFPA was waiting for Franklin rod proponents to make a scientific case for continuing to recommend the rods. Deadline: October 2001. Franklin backers evidently succeeded—at any rate the NFPA voted to retain NFPA 780, the standard that covers Franklin rods. But their reasoning is none too compelling. The NFPA said a single submission by Franklin rod proponents was enough to justify the standard. This report, “The Basis of Conventional Lightning Protection Technology” by the Federal Interagency Lightning Protection User Group, contains no original research but rather is a review of previous studies. Among other things it references 18th-century efforts to protect churches, reports by Iowa fire officials from as far back as the 1920s, and U.S. Army reports from the 1940s. More recent research includes lab tests from General Electric plus government reports from the Kennedy Space Center and FAA Doppler radar sites. One interesting data point: Of 240,000 sites protected by lightning rods certified by Underwriters Laboratories, less than 0.1 percent were damaged by lightning over a multiyear period. The authors of “Basis” are prominent scientists, and my gut feeling is they’re right that Franklin rods work pretty well. The fact remains that much of the evidence they adduce to support that conclusion is shoddy. A lot of the data is old and anecdotal and was casually collected by people without scientific training; in too many cases it boils down to “We used to have a lot of lightning damage, but after we put up Franklin rods it stopped.” This is true even of some recent research. The FAA, for example, notes that its radar towers in Florida are protected by NFPA-780-compliant technology and rarely suffer lightning damage. Florida is known for its frequent thunderstorms, so common sense suggests the lightning rods are doing their job. But there’s no control group, no point of comparison, nothing telling us that unprotected towers of similar design in Florida were clobbered x times more often by lightning during the same period. Old annual summaries from the Iowa fire marshal suggest rodded buildings (as they’re called) suffered fewer fires due to lightning than unrodded ones. But the raw data underlying the summaries has been lost, and even the “Basis” authors admit that, without knowing how many buildings were rodded and unrodded in the first place, the summaries don’t prove much. I’ve seen nothing to persuade me that ESE technology is superior, but let’s face it: If Franklin rods were introduced today with this kind of supporting research, they’d never be approved. All that having been said, let’s acknowledge an even more basic point: Two hundred fifty years of experience counts for something, particularly in the absence of any serious evidence that it shouldn’t. Even ESE proponents don’t contend lightning rods are ineffective; they just think their technology works better. (Evidence to date: Like hell.) Fire due to lightning used to be a major headache, and still is in the case of wildfires; now, as far as the built environment is concerned, it’s not. Surely Franklin rods deserve most of the credit for this. In fact, the Basis authors think NFPA 708, which is now merely advisory, ought to be the basis of a national code, presumably subject to strict enforcement—the real problem, they suggest, is that many lightning rods are improperly installed or maintained and don’t offer adequate protection. Personally I think this is a great idea. I also think that in the process of enacting this code, it wouldn’t be too much to ask that a few controlled tests be conducted to prove the things actually work.